For 20 years we've been enjoying Lionel, the unofficial mascot of Uptown, who stands at his perch at Montrose and Dayton. He and his buddies, the fish, wear fashionable and funny outfits depending on the season and the weather. He even has his own Facebook page dedicated to showcasing his sartorial splendors. If you've ever looked at him and said, "Wow, I want him for my own!," well, now's your chance. 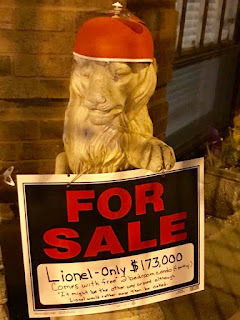 His stylist, who has put hours and dollars into Lionel over the years (including a nearly catastrophic tumble in 2015), is selling her condo. 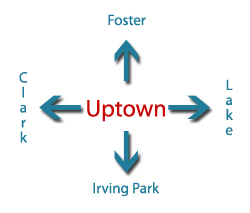 Lionel is remaining a proud Uptowner. He comes with the place. 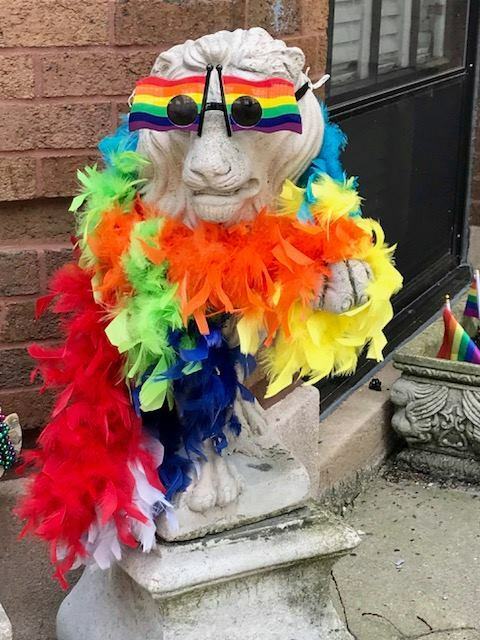 If you -- or someone you know -- would like a 2-bedroom garden condo that comes with a lion who wants you to be his clothier, please take a look at the listing. 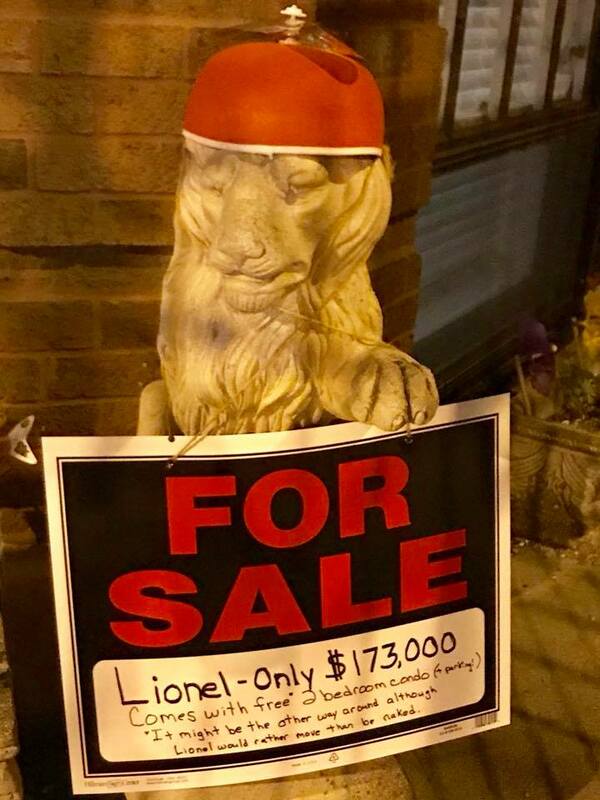 SAVE LIONEL AND HIS WARDROBE!